Farmers in Alberta are racing against the clock to harvest their crops after heavy rain and snow in September left fields too wet to work. The wet weather delays followed a dry summer that already had farmers bracing for a hit to their yields. 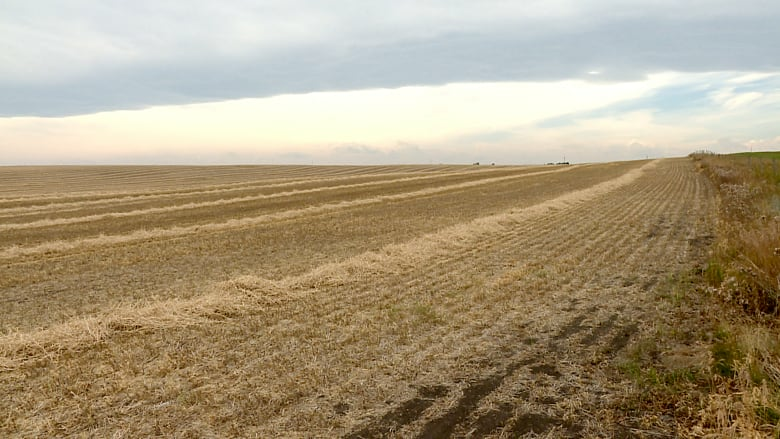 Kevin Bender, who farms west of Red Deer and is the chair of the Alberta Wheat Commission, said his farm has been shut down for about three weeks, with only about a quarter of his acreage harvested. "Sept. 9 is the last time we'd combined," Bender said. "We had three or four snowstorms and cold weather … but we've been able to get back on canola last Sunday night, and trying to race the clock and get as much done as we can until the next precipitation hits us." Farmer Ian Chitwood of Airdrie said some parts of his property got upward of 30 centimetres of snow. "We have not combined a single bushel yet this year," he told Alberta@Noon on Friday. "Insurance is on top of a lot of producer's minds right now. Every day we're losing daylight, we're losing some heat, it could get into where producers are starting to claim partial crop losses, I think panic is starting to set in right now." Provincially, about 40 per cent of crops have been harvested so far, according to the latest crop report. That's about 40 per cent behind when compared to the five-year average, with some regions as much as 58 per cent behind. Can't see the graph below? Click here. And, the wet conditions mean crop quality was on the decline and expected to drop even further, the report said, with malt barley, oats and canola being graded below average. John Guelly, the vice-chair of Alberta Canola who farms canola, malt barley and wheat in the Westlock area, said he's experienced tough conditions in 2016 and 2017 as well but he expects this year to be even worse. "It could be a lot of crop out over the winter unless we're able to get some decent weather. And a little bit of precipitation right now really hurts because the days are so short," Guelly said. Bender said he'll be hoping for warm dry weather and wind. "It'll be really tough," he said. "At this point as long as there's snow on top of the canopy, on top of the grain, we can't even go out and try it." With files from Andrew Brown, Alberta@Noon.